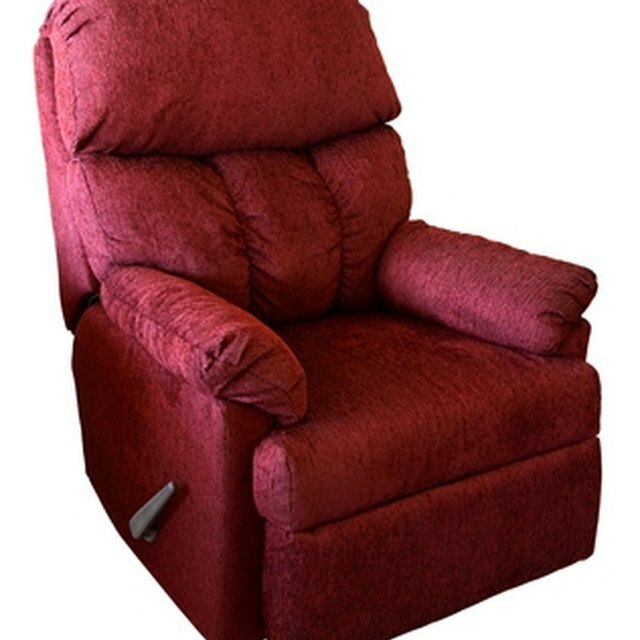 Depending on style and taste, you may decide your recliner doesn't fit with the decor or other furniture in your room. Purchasing a slipcover is less expensive than purchasing a new recliner and there are different colors, patterns and materials available. Once the slipcover is purchased, placing the cover on the recliner is often a quick procedure. Properly fitted slipcovers are unnoticeable. Locate the multiple pieces of your slipcover by the identifying tags or markers. Tags may say "Left Arm," "Center," "Front to Back" or similar. Recline the chair and lift the foot stool. Place the arm covers on the arms. Pull the covers taut and tuck into the seat. Pull the "Center" cover over the front of the chair, tucking and pulling taut as you go. Start from the recliner's back and work your way down the front to where the seat meets the back of the chair. Place the "Top to Back" cover over the top and back of the chair. Pull the cover smoothly and evenly down the back of the chair. Attach the cover's elastic loops to hardware on the bottom of the chair. Place the "Front Seat" or similarly named piece over the foot rest and pull taut over the seat of the chair toward the back. Stretch and smooth the excess fabric into the chair to create a snug fit. Position the slipcover over the recliner's top by lining up the shoulders and top (these should be tagged on the slipcover for easy identification). Recline the chair and raise the foot rest slightly. Smooth the cover over the arms--lining up the cover's tags marked for arms--and sides while pulling taut. There should be a hole for the recliner's handle on the right-hand side. Pull the cover over the foot rest, lining up the pleats to the corners of the footrest. Attach the elastic loops or ties to the hardware on the bottom of the chair, or tie them together. Tuck the excess fabric into the seams of the chair for a smooth finish. Return the chair to upright and put the footrest down. Turn the chair over to expose the bottom of the chair. Carefully pull the remaining elastic loops or ties through the back of the chair and attach to the chair's frame. Follow detailed instructions from the manufacturer because slipcovers may have more or less pieces and different instructions. If you have misplaced the instructions, some manufacturers will list the instructions on their website or may send you some after an inquiry.